Becoming Human is a ground-breaking original documentary experience that explores the question — What makes us human? Guided by Dr. Donald Johanson, who discovered the Lucy skeleton in 1974, guests can walk through a paleontological dig, meet leading scientists in the field, and trace the evolution of the human species over the last four million years. 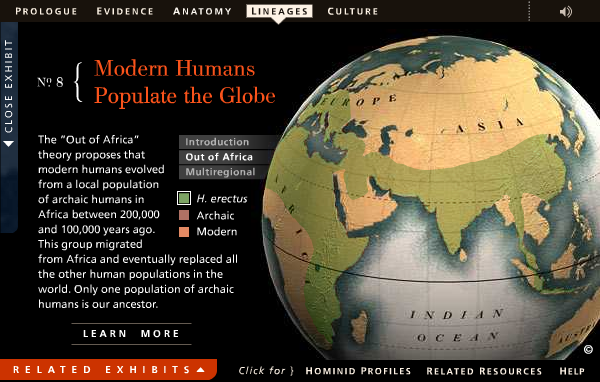 The site combines in 30 minutes original documentary with nearly fifty connected hands-on exhibits for deeper learning.